The evidence and consequence of all Trump's coverups is piling up. Paul Manafort — convicted on 8 counts, Michael Cohen — pleaded guilty to 8 counts (including 2 that implicated the Prez in a felony). Perhaps the USA will make it through this trauma yet. Senator McCarthy Returns to Question Trump! Game of Thrones marketing opportunities! This Game of Thrones Lannister ball point pen has just arrived in the HBO online store, available for a measly $295. No doubt this was created after Khal Drogo's cheap Bic bled all over Daenarys in their love scene in Season 2, episode 6. Ariens took it up a notch with this powerful snowblower that can handle anything — snow up to 24", ice, slush, or stab wounds to the heart. It just won't die. Fur cowl keeps the engine toasty and dry, even in the most extreme conditions. Financing available. This hot sauce will have YOU breathing fire. The ingredients are secret, but this unique blend is based on an ancient Dothraki recipe handed down from Khal Drogo's grandma. Perfect on fish, beef, pasta, chicken, or camel. At $45 a bottle, it's a luxury well worth the price. -Tag Heuer's 30 gem "Night's Watch" with black dial, black bezel, black band. $5635. This is an eye-catching statement that's sure to draw attention. 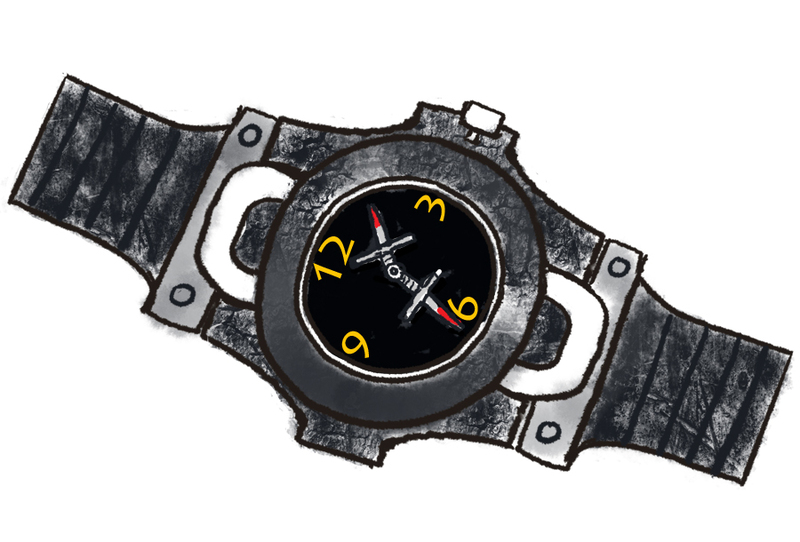 The "super black" dial face actually absorbs all visible light, so don't stare at it too long. The disturbing blood-stained dagger hands represent the sacrifice all Nights Watch members are expected to fulfill. Also helps with that celibacy thing, if you're into that.